On July 8, 30,000 people joined together across racial lines to participate in the largest hunger strike in California history. These people are prisoners at Pelican Bay, Corcoran, and other California prisons. Their current strike action renews a two-year peaceful protest against conditions of extreme isolation, arbitrary punishment, Kafka-esque policies, and inhumane living conditions in California prisons, particularly in the SHU, or Security Housing Unit. As at Guantanamo Bay, the lights are on 24/7. 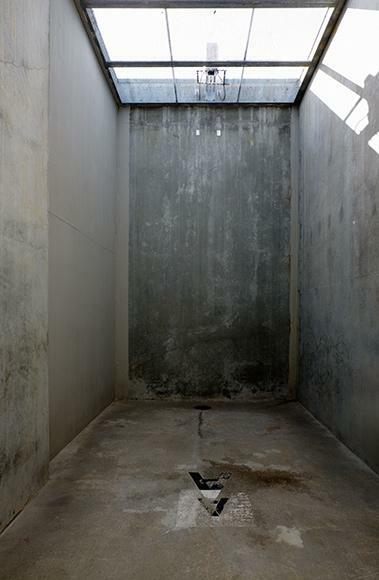 And even when prisoners are released from their cells for recreation, they remain in isolation in “exercise yards” where only a small glimpse of sky is visible between concrete and wire mesh. 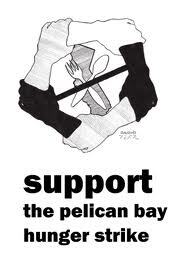 Pelican Bay was built in 1989 to house “the worst of the worst” in the California prison system. But the truth of the matter is that hundreds of prisoners are isolated in the SHU without having done anything, let alone something violent, simply because they have been identified as gang members. The gang “validation” and “debriefing” process reads like the Standard Operating Procedure at Guantanamo Bay. Gang validation (or classification as a gang member) is managed through a points system that tracks such criteria as tattoos, incriminating photographs, banned reading material, telephone conversations and other forms of communication, and information from debriefing reports, inmate informants, and the allegations of correctional officers (Sharon Shalev, Supermax, p. 74-88). A quote from George Jackson and a picture of a dragon, together with some hear-say from inmates or guards, can be enough to get you validated as a gang member (see Shane Bauer’s recent article in Mother Jones for more on this process). Once you’ve been validated as a gang member, you can be held in the SHU indefinitely. To get out, you have to either prove that you have been falsely classified (a Sisyphusian task) or “debrief” by providing prison authorities with accurate information about gang membership and/or activities. Colloquially, this process is known as “parole, snitch, or die.” But snitching and dying are by no means mutually exclusive possibilities, as former gang members face retaliation upon release or reintegration into the general prison population. And even if they were willing to face this risk, gang members who have been isolated for years or decades often don’t have any reliable information to share as an informant. The average length of time in the SHU at Pelican Bay is 7.5 years, but 89 prisoners in the facility have been isolated for more than 20 years, and one prisoner – Hugo “Yogi” Pinell – has been isolated for 42 years, longer than the prison itself has existed. Over 11,000 prisoners in California, and over 80,000 across the US, are held in some form of “restricted housing” [read: solitary confinement, read: living death]. 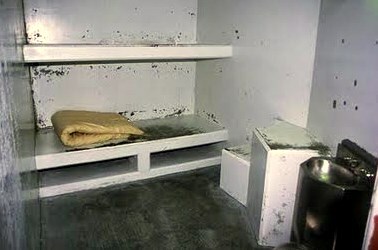 And due to severe overcrowding in California prisons, many people are double-celled in isolation units built for one. 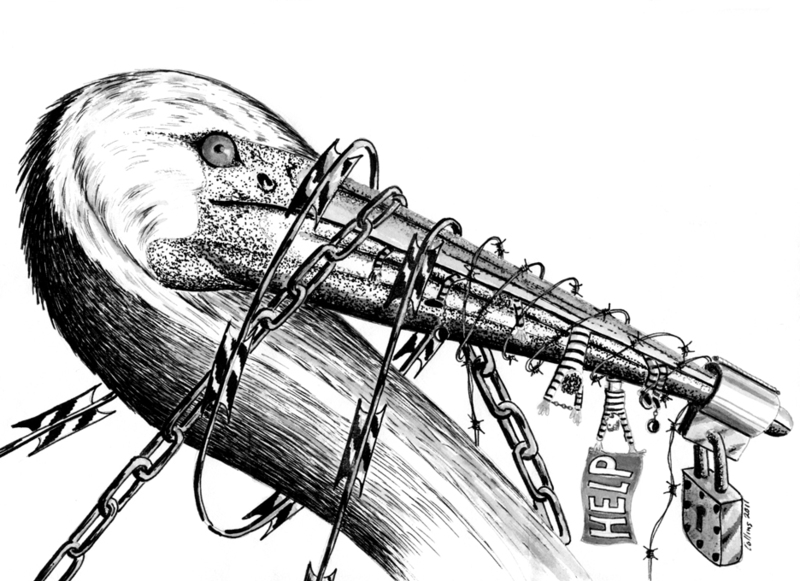 The issues raised by the strike action of the Pelican Bay Short Corridor Collective and the Prisoner Hunger Strike Solidarity Coalition are more than “just” prison issues. They are more than “just” human rights issues. They are issues in which the very possibility of a meaningful life – both behind bars and beyond them – is at stake. To live in a world where anyone is treated this way is to be implicated in the practice of torture. Torture is about power, but it’s also about meaning. In her classic book, The Body in Pain, Elaine Scarry describes the logic of torture in terms of an “unmaking of the world.” I cannot think of a better description for the SHU. You don’t need electrical cords or dental drills to torture a person; you just need to stuff them in a concrete box and force them to bear the whole weight of their being in isolation from others. According to Scarry, torture “uses the prisoner’s aliveness to crush the things that he lives for” (38). This is true also for the torture of solitary confinement: It exploits a prisoner’s power as a subject of meaning, turning their own capacities for feeling, enjoyment, perception, and thought into an instrument of their own undoing. Scarry describes this as a forced self-betrayal: “Each source of strength and delight, each means of moving out into the world or moving the world in to oneself, becomes a means of turning the body back in on itself, forcing the body to feed on the body” (p. 48). Hunger strikes are an extraordinary act of self deprivation by people who have almost nothing. They can result in the deaths of those involved and compel prison staff to engage in degrading practices like force-feeding to prevent that. They also put people like you and me in the position of having to choose: Which side are you on? What matters to you, and why? What kind of a world do you want to live in? The Pelican Bay SHU- Short Corridor Collective has made 5 core demands: 1) to end group punishment for individual rule violations, 2) to reform gang validation policies, 3) to comply with the recommendations of a federal commission on long-term solitary confinement, 4) to provide adequate and healthy food, and 5) to expand rehabilitation, education, and recreation programs. You can support the prisoners’ strike action by signing this petition, joining the resistance network (by committing to one concrete action a week for the duration of the hunger strike), participating in a solidarity rally on July 13 at Corcoran state prison, planning a solidarity event of your own, or donating money to the PBSP-SHU Short Corridor Collective. You can also support the hunger strikers by spreading the word about their strike action, and encouraging others to do the same. This video could be a powerful educational tool for building solidarity. Those of us with a history of active struggle against political repression understood of course, that while one of the protagonists of this battle was indeed the state, the other was not a single individual, but rather the collective power of the thousands and thousands of people opposed to racism and political repression. Chants thundered on the outside . . . While the chants of “Free Angela” filled me with excitement, I was concerned that an overabundance of such chants might set me apart from the rest of my sisters. I shouted one by one the names of all the sisters on the floor participating in the demonstration. “Free Vernell! Free Helen! Free Joan! Free Laura! Free Minnie!” I was hoarse for the next week. There is no meaningful sense of freedom for Angela Davis without the freedom of others whose names we may not recognize, but who nevertheless make an ethical and political claim on our own existence as citizens, as human beings, and as creatures. What forms of community could we create, and what meanings could we disseminate, by amplifying the voices of people who are putting their own lives on the line to protest the living death of solitary confinement and the absurd brutality of arbitrary punishment and irresponsible power?